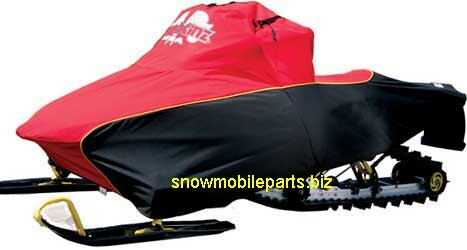 Sno Skinz Snowmobile cover is constructed with Super VI Polyester Plus. Custom tailored for an excellent fit. Won't shrink or stretch when frozen. Reinforced stress points. Adjustable tunnel section for various track lengths. 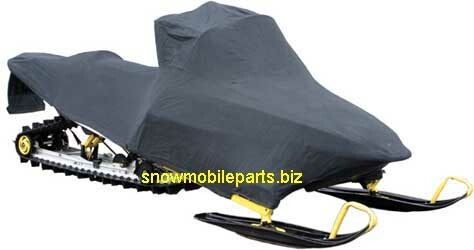 Deluxe Kimberly Clark Series 300 undercover included. Limited lifetime warranty. Easy gas cap access for oil injected models. Made from durable, yet soft 10.10 oz Army duck canvas. Adjustable tie straps with S-hooks. One year warranty. All covers listed are for standard windshields unless otherwise noted.